About two weeks after ride hailing company Lyft deployed its first dockless electric scooters in the District, Lyft scooters are now available in Arlington County. WASHINGTON — About two weeks after ride hailing company Lyft deployed its first dockless electric scooters in the District, Lyft scooters are now available in Arlington County, Virginia. Lyft will keep its fleet of e-scooters centered around transit, where people live, work and go out. There is a coverage map online. Riders are confined to the coverage area and will be fined for leaving a scooter outside Lyft’s current coverage. Scooters in Arlington are not permitted on sidewalks or on Arlington County bike trails. The District allows electric scooters on sidewalks outside of the Central Business District. Lyft’s D.C. scooter deployment in November was its first on the East Coast. 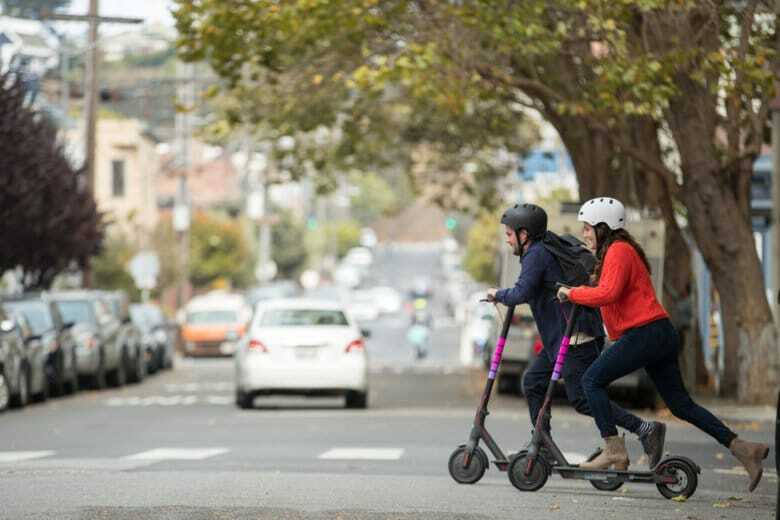 A Lyft scooter costs $1 to unlock and 15 cents for each minute of use, including reservation and hold time. Lyft has started with 200 scooters in Arlington, and said that will gradually increase to 350. In the District, Lyft has 400 scooters deployed in all eight wards. The company has said it intends to expand its scooters to another 10 cities by the end of the year. Lyft joins Bird and Lime as scooter companies now permitted in Arlington County. The county keeps an updated list, and solicits feedback from county residents, on its transportation website.